Abeku Wilson Equinox shooting. Pictured the former trainer who committed suicide after shooting two former co-workers. Abeku Wilson Equinox shooting: A well liked and popular Goral Gables, Florida persona trainer kills fellow workers after being fired earlier in the day. 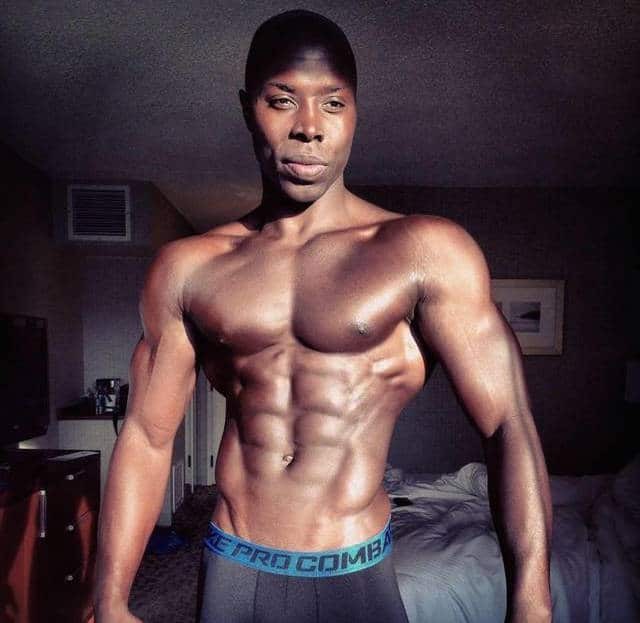 Abeku Wilson a former Equinox trainer has shot two colleagues dead before fatally turning the gun on himself at upscale, Shops at Merrick Park, Florida shopping center. The shooting at Equinox Fitness Club in Coral Gables came early Saturday afternoon as startled gym visitors worked out. A report via the Miami Herald told of Wilson, 33, targeting the gym’s general manager Jeanine Ackerman, 35, who later died and personal trainer, Mario Hortis, 42, who was critically injured, before shooting himself. Reports come Sunday morning told of Hortis mortally succumbing to his injuries. Detective Alvaro Zabaleta of the Miami-Dade Police Department told The Daily Beast the ex-employee targeted the two victims after a managerial dispute led to him being fired Saturday. Ironically, the shooting comes as Wilson was considered one of the most popular trainers at the gym. The usually clean shaven trainer had appeared at the him Saturday morning looking disheveled, with a former client saying Wilson seemed to be slurring his words. A report via Local 10 News told of the shooter being a fitness model who appeared in various print brochures. He was born in Boston and lives in Miami. Told Eveliny Bastos-Klein who had a training session with Wilson shortly before the shooting took place at 12:55 p.m, ‘He did not seem unusual’. She described Wilson as an impressive trainer and said Saturday was no different. Moments later a hail of bullets were fired, with one witness, Anais Michelle‏ posted a video of people hiding in the storage room on twitter. Of note, according to a search of public records, Wilson was not known to have a criminal history in Florida. How Wilson came to acquire the weapon prior to the shooting isn’t understood. How or why Wilson came to be fired is yet to be understood or whether the trainer had been issued former warnings before Saturday’s termination. A profile on a modeling website from 2014 lists his height as 6’2 and his weight as 175 pounds. He appears much bigger in recent photographs. Wilson’s Instagram page depicted the personal trainer being a dedicated bodybuilder as well as a Brazilian Jiu-Jitsu blue belt, and practicing Muay Thai. He was also a regular RX Muscle contestant.